Guide your clients, what they can do"
Imagine you have a facebook page, where your clients can send you messages using facebook messenger. Our platform gives you the ability to add an interactive menu for your clients whenever they send any message on your facebook page or they send any keyword. Interactive Menu is not only limited to facebook page, you can add other channels like Viber Public Account for viber users, Skype bots for skype chat users and SMS Dedicated number for cliens whow want to communicated using SMS. Each Interactive Menu consists of various menu options that your clients can select. Each menu option can be configured independently based on your requirement, this configuration includes, action you want to do once the user selects this that option (e.g. send an email, call another API, send SMS or store in a CSV file). Your client triggers the Interactive Menu by sending keyword to your channel(in case you have configured a keywords to trigger the menu) or it gets triggered by sending anything to your channel(in case you configured the interactive Menu to be triggered by default). 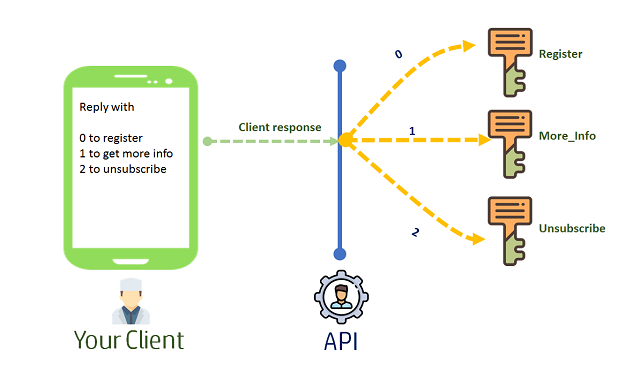 Once the channel receives the message, it forwards it to the API. 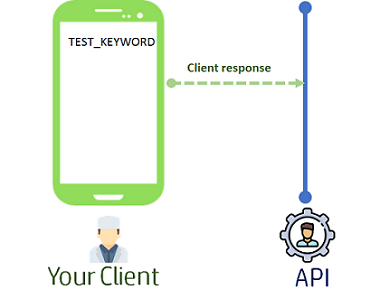 Once the client response is received the the API, it triggers the Interactive Menu , which in turn creates the response and sends it back to the channel. Once the channel receives the message, it forwards response and the client see a menu text on their screen. 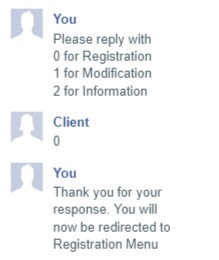 Client can then reply to the message to start an interactive conversation with the API. all right reserved. Umair Solutions Pvt. Ltd.